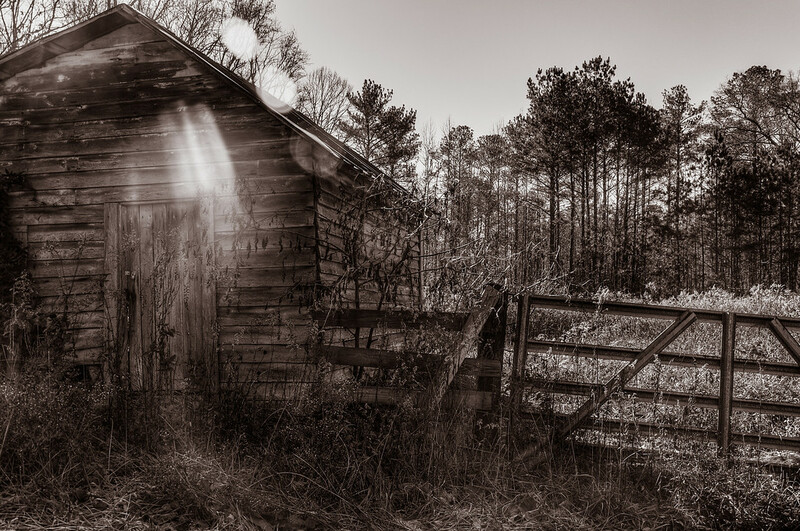 Barn and a Gate | Just Shooting Memories! I was driving some back roads and ran across this little barn / falling down building and a gate. I thought the surroundings were just perfect. No one had kept up with the yard / landscaping and it fit real well with the dilapidated look of the building.